Watch for your $35.00 gift certificate code to be coming via the generous folks at CSNStores.com! What's more fun than making cupcakes on a random weekday for no special occasion? Thankfully - Gain to the rescue! Yes, I said Gain! Now, the product you know and love for your laundry needs, comes to the rescue in the kitchen too! Sniff Sniff Hurray! Indeed! This stuff smells amazing! I admit it, the scent of a product is typically a deal maker or breaker for me - but when it comes to something like dish soap - you can't rely on scent alone. So the main question is...Does is clean as well as your regular dish soap? I'm happy to report that yes, yes it does! I was able to clean up all of the dishes from our cupcake extravaganza and Gain Dish soap cut right through the grime of the pre & post cupcake bowls & pans AND the vegetable oil covered cups & dishes as well! We were very impressed with this product - and at just around $1.00 at most local discount stores - you can't go wrong! Which scent will you try? Feel free to check out GAIN on Facebook - and on Twitter too! 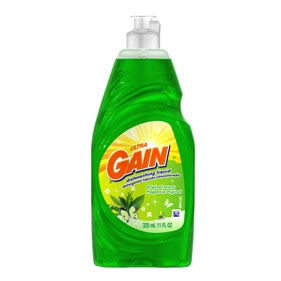 This product review was based on using complimentary Gain product provided by P&G through My Blog Spark. P&G through MyBlogSpark provided me with a full-size bottle of soap to sample. Any opinions posted here are mine alone and were not influenced in anyway, although in the interest of full disclosure, my hubs does about 99% of the dishes around here. And the laundry...So perhaps I should have had him tell you about this product! P&G through MyBlogSpark provided me with t-shirts and Walmart giftcards to share with friends at my discretion. P&G does not represent or warrant the accuracy of any statements or product claims made here, nor does it endorse any opinions expressed within this blog site. CSN Stores has over 200 online stores where you can find everything from nesting tables to fantastic fitness equipment to cookware! Over 200 different stores, with one simple check out! Many of their sites offer free shipping, and I recently took advantage of that and finally got a matching night stand for the lone one I found at TJ Maxx a couple of months back! How awesome is that! No more scavenging for a matching nightstand! And now, the fine folks over at CSN Stores have offered to give one of my readers a $35.00 gift certificate to use in any. CSN store. you. want! Do you know how many things you could get absolutely FREE with that certificate? Start thinking about your Christmas lists...There are only 3 months til Christmas you know! Check out this huge assortment of toys for the small people in your life, or something from their cookware line with something for everyone! How do you win? Simple...Just leave a comment here - you'll be entered! One winner for the $35.00 gift certificate will be chosen by random.org here on this site on Thursday, September 30th! *** Want a bonus entry? 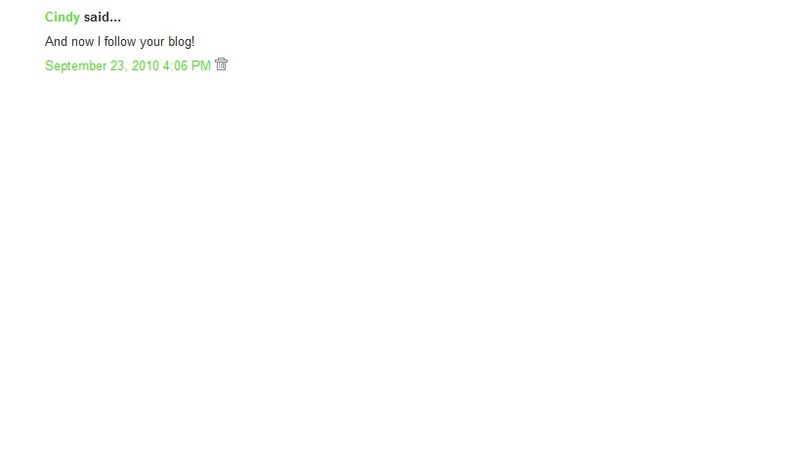 Follow this blog...and then leave a comment SAYING you follow this blog - you know, so that it's easier via random.org!